We knew this day was coming, but just didn’t know how sad Cooper would be when it happened. Today during his morning rest Cooper successfully took his jammies off and began to cry so hard I thought he was seriously hurt. The pictures below show the progress of his unzipping skills over the past couple of weeks. He now says “no diaper off” before each rest and at night. 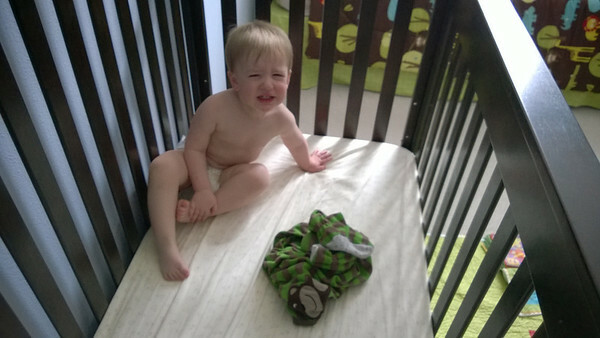 Fortunately, we only had one instance of him taking half his diaper off and needing to change his soaked sheets which hasn’t happened again since we told him not to take his diaper off. 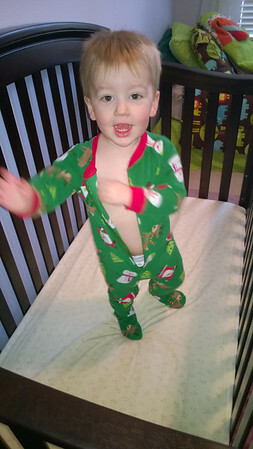 To help hedge our bets we have moved Cooper primarily to two piece jammies to remove the zipper temptation. 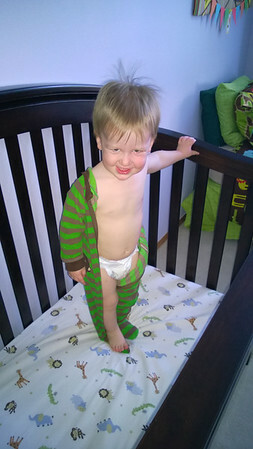 First instance of Cooper unzipping his jammies part of the way during rest. 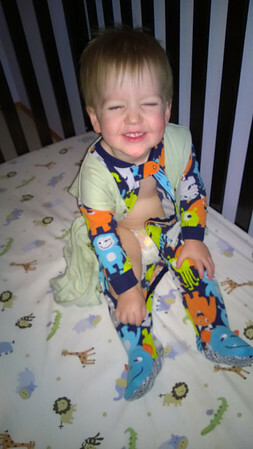 With in another day or two Cooper was able to unzip his jammies all the way down to his toes. 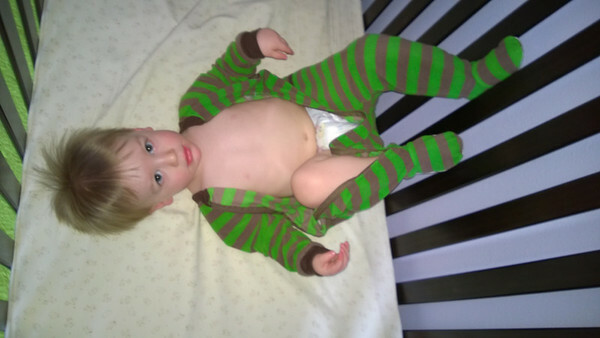 Within a week he was able to get two limbs out of his jammies during rest time. Over night with his sleep sack he had not tried to unzip his jammies after unzipping his sleep sack. That changed this morning with the double sleep sack and jammie unzip. http://youtu.be/Wi85pWydxmQ Up until today all grapes, strawberries, raspberries, blueberries and any other berry were called “mum mums.” Which started from a little song Daddy sang to Cooper each time he was given grapes. He is now calling the same list of fruits “strawberries” and no longer “mum mums,” including grapes. With the way his vocabulary is growing exponentially these days I anticipate these fruits will soon have the correct respective name soon.